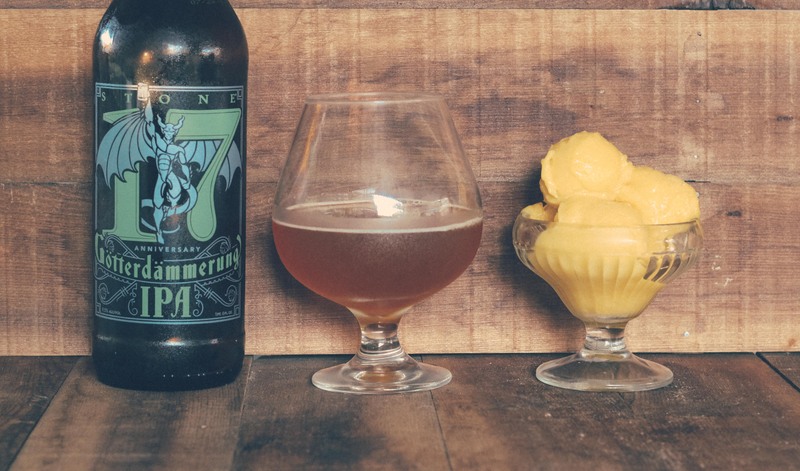 Beer, Beer sorbet, Cooking with beer, IPA, ipa sorbet, mango sorbet, Photography, recipe, Stone 17th Anniversary IPA, Stone Anniversary Beer, Stone Brewing Co.
It’s HOT outside. 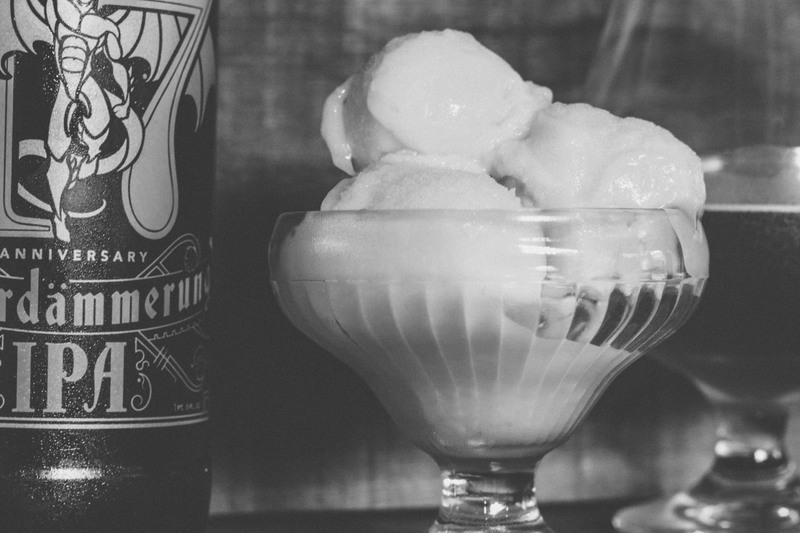 Sorbet is one of my favorite things to have when it’s hot outside because it’s refreshing and light. That’s something that we could all use right now, considering it’s 83 degrees F as I am typing this at 8pm. 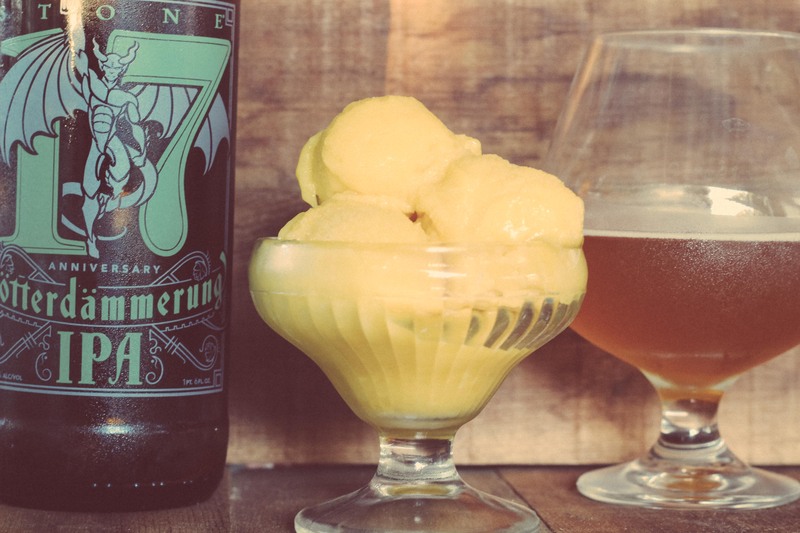 I opted to make a mango sorbet and wanted to use the recent anniversary release from Stone Brewing Co. The Stone 17th Anniversary Götterdämmerung IPA is 9.5%ABV and used all German malts and hops which lends a crisp and slightly bitter taste. This will balance the sweetness of the mango and make for a very invigorating sorbet! 1. In a skillet over medium heat, place the beer and sugar and stir until the sugar has dissolved. Take off the heat and place in the fridge to cool. 2. 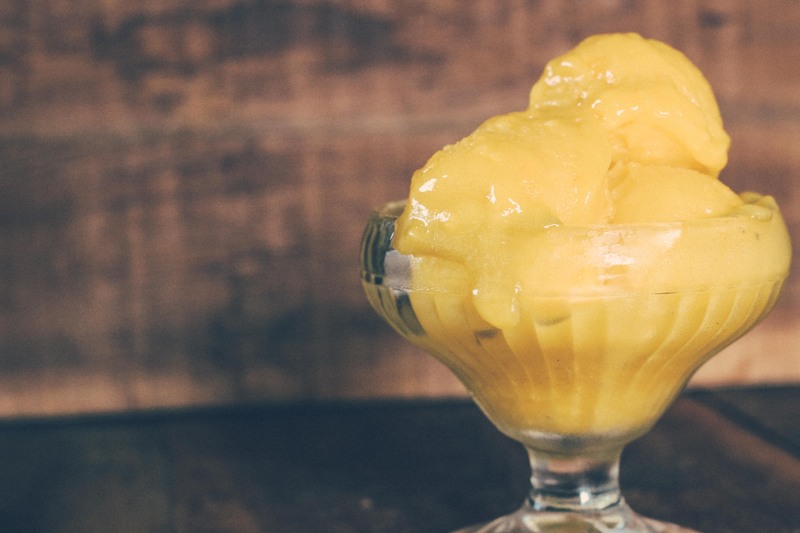 Puree your frozen mango and lemon juice and place in the fridge to sit while the beer simple syrup cools. 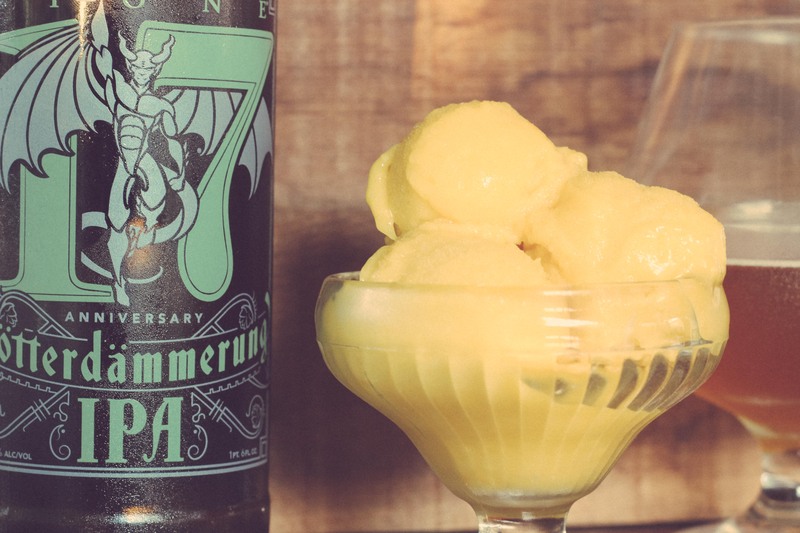 After 15 or 20 minutes, mix together the beer simple syrup and mango puree and put into an ice cream machine. This should process for about 20 minutes until smooth. Place in the freezer to set for a few hours (1 hour minimum) and then serve! How easy was that!? Are you asking what my ISO was on my camera? 800 I think?